Dr. Bryan believes in a natural approach to maintaining happiness, wellness, vitality, and peak performance through regular chiropractic adjustments, optimum nutrition, daily exercise, supplementation, and eliminating toxins and stress. His philosophy when treating patients is that proper structure will equate to proper function. When the bones and joints are misaligned, it creates added stress on the body via an abnormal feedback loop to the brain that is often hard to overcome. This, in-turn, creates added stress on the muscles, tendons, and ligaments that are attached. By removing the misalignments, there is less nerve interference, and the body is able to heal itself. When your body’s structure is sound, your function will be optimal thus reducing injury, pain, and ultimately… disease. Other than providing Chattanooga chiropractic care, Dr. Bryan’s biggest passion is soccer and loving on animals! You may even see Dr. Bryan playing soccer around the local community 1-2 nights a week or hanging out with his dog, Piper at a local dog park! He also enjoys learning new things, reading books, talking sports, and riding his motorcycle! Dr. Bryan has worked with patients from all walks of life. He has helped the lives of the elderly, infants, pregnant mothers, fathers, athletes, couch potatoes, and everything in between. 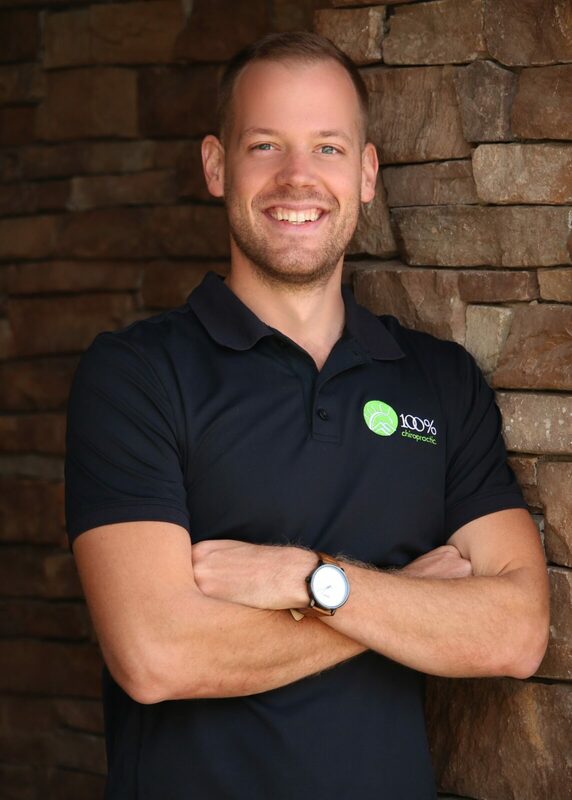 He has a specific passion for empowering his practice members to take control of their health by clearing their nervous system of interference and through simple, yet sustainable and effective health practices! He has lead classes in the community on topics ranging from Nutrition and Lifestyle modifications to Exercise and Mental Health Practices. While illness, sports injuries, and accident-related injuries lead many patients to seek chiropractic relief from our office in Chattanooga, these same patients are inclined to continue with routine treatment. After seeing the many benefits that come from a genuinely whole-body approach to health and well-being, the previously skeptical person often become a 100% enthusiast! These individuals find that they are also noticing a vast improvement in their overall function! The services that we offer at our chiropractic clinic located in Chattanooga caters to the specific, individualized needs of our patients, making us the premier source for Chattanooga chiropractic care. Prenatal and Pediatric Care: Prenatal chiropractic care can help soon-to-be Moms have a more comfortable pregnancy and help her prepare her body for the difficulties of childbirth. Also, we can employ a gentle technique to address common misalignments found in infants, toddlers, and young children. Personal Injury (Auto Accident): Treating patients after they have experienced a physical trauma requires a particular kind of care. Time is of the essence as soft tissue damage in and around your spine, if allowed to heal out of line, can cause chronic ongoing issues. Having the less obvious of spinal injuries assessed soon after an accident is vital. Acute soft tissue injuries often get overlooked without the attention of a chiropractor. We have been uniquely trained to look for these subtle and potentially dangerous misalignments. Corrective or Reconstructive Care: Many spinal misalignments do not arise from a traumatic injury or accidents. They tend to happen over time! Throughout our lives, certain habits – such as posture, heavy lifting, and even workouts can cause recurring issues within your spine therefore your entire nervous system. We use corrective care to help bring back the natural curvatures and alignment of your spine and return order to your nervous system. With a combination of adjustments, exercises, and massage therapy patients often experience improvements in sleep quality, energy, mood, and more! At our 100% Chiropractic center we can provide treatment to all family members regardless of age or stage of life. A significant portion of our patients and their families engage in regular wellness care. We believe that our individualized approach to wellness care, aimed at maintaining a healthy nervous system through a combination of adjustments, exercises, massage, supplements, and informative workshops offers our patients a pathway to optimal living! Other patients may only seek our help after they have had an accident or suffered from chronic pain for some time. In either case, the team will perform a thorough discovery assessment on all newcomers with the intention of developing and delivering individualized treatment plans. If you would like to learn more about this whole-body approach to well-being and living your life to 100%, please stop by to visit our team at 100% Chiropractic Chattanooga right off I-75 on E Brainerd Road towards the mall! We love serving the Chattanooga Community and can’t wait to meet you and your family!